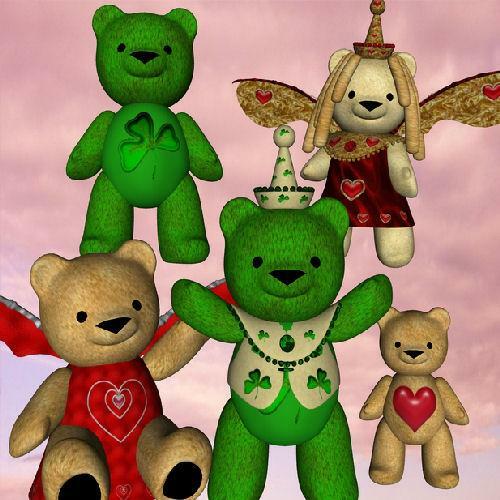 3 texture sets for pookie bear by mada, includes simple valentine, angel valentine and shamrock pookie. thanks to kimber89 for many of the textures! What a cute teddy bear. Thank you so much for sharing a beautiful creation.